Florence - Scuole d'italiano per stranieri Società Dante Alighieri. 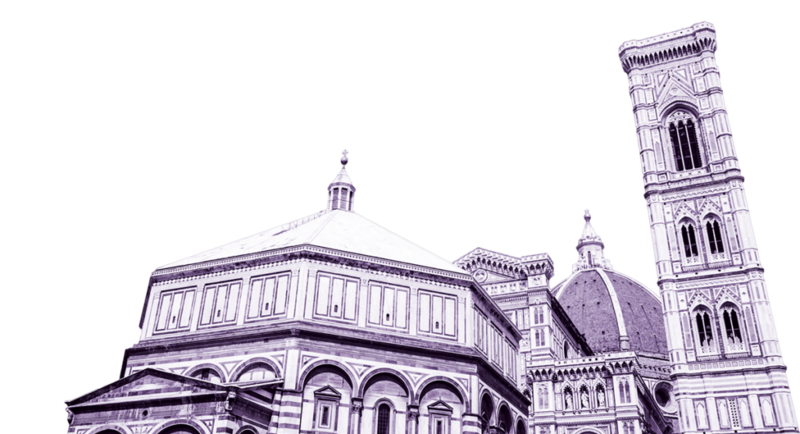 The Italian School of Florence is situated in the very heart of the historic centre of one of the world’s most interesting cities in terms of art and culture, a few steps away from the Cathedral, the Church of the SS Annunziata, and the Archaeological Museum. Located inside the former San Pierino Oratory, it houses important frescoes of some of the most representative Florentine artists of the late 16th century, creating an evocative atmosphere for the students. Intensive 6-month course (480 hours) at € 3,100 (instead of € 3,840). Intensive 9-month course (720 hours) at € 4,500 (instead of € 5,760). Take advantage of the promotion “Bring or refer a friend” to study in Dante Alighieri Society’s Italian Language Schools and you will both be eligible for a 10% discount on our courses! Contact the School’s Secretarial Office for more details on the terms of this promotion (please note that the person you refer must not have previously attended courses at our Schools). For information about schedule and price, please contact the reception of the School. Course level availability will be based on the number of requests. Course days: according to the level, Monday + Wednesday + Thursday or Friday.